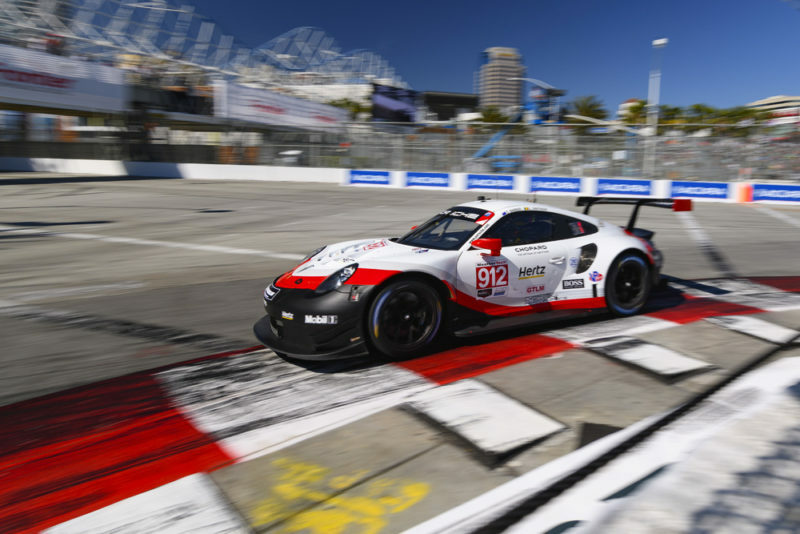 In just the third round of IMSA’s WeatherTech SportsCar Championship, Porsche’s 911 RSR team has grabbed three pole positions and two race victories in the GTLM category this season. It would be difficult for the team to be starting the season from any better position, as they now lead the points championship in the fierce category of sports cars. 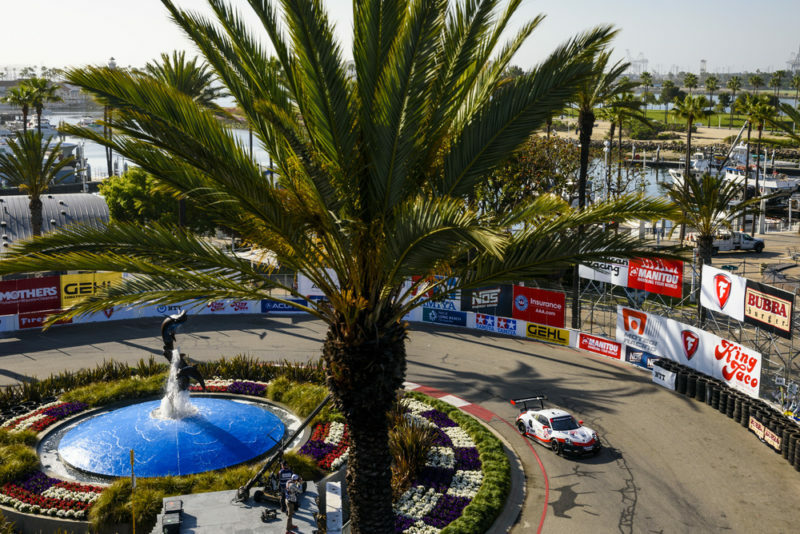 This weekend’s race at Long Beach was an incredible spectacle for all of the fans to see take place on track, and Porsche worked the strategy and speed inherent in the cars to lead nearly from start to finish. Both cars suffered from rear diffuser and underbody floor damage during the course of the race. 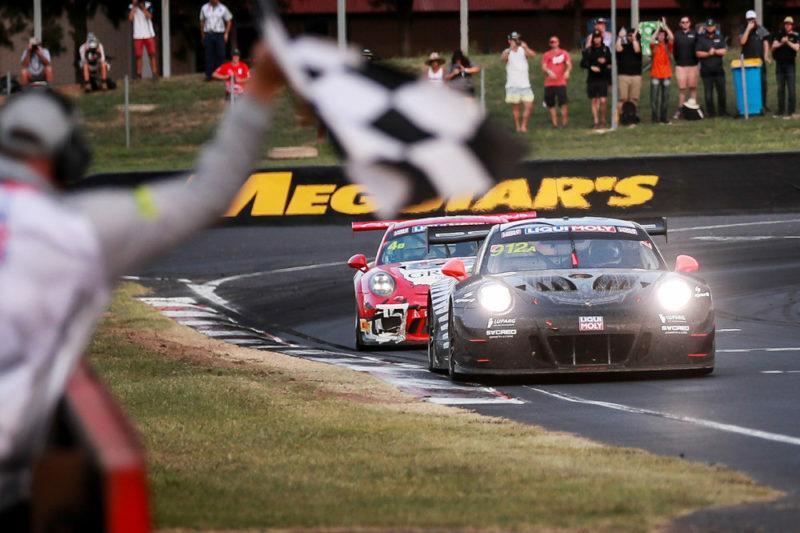 This caused the Polesitting #911 car of Patrick Pilet and Nick Tandy to drop back to fifth in the race, while the #912 of Earl Bamber and Laurens Vanthoor overcame adversity to take a dominant win. Possibly because of contact or the bumpy nature of the street course, both Porsche undertrays started to fall apart after the halfway point. Luckily, up front, the leading Porsche had stretched out enough of a gap to maintain that while everyone behind fell into fuel saving mode to make it home without issues. Symptoms on the #911 car showed up earlier in the race, and as a result it was swamped by both Corvettes and a Ford GT. The Ford didn’t make it back to the flag, as it ran out of fuel at turn 8 and the stumble caused the head Corvette to shove it from behind into a wall. Because the #912 had been passed by the leading prototypes one time more than the Ford had when they got to the finish line, it was still awarded 5th. Starting in mid May, and running through September, the Porsche Museum will host an exhibit to honor the 50th anniversary of the 917. The exhibit will be named « Colours of Speed — 50 Years of the 917 ». As part of that exhibit, Porsche will be rolling out a never-before-seen 917 concept study (above) to commemorate the history of the Le Mans champ. The red and white show car was obviously made as an homage to the Salzberg livery, which won Le Mans overall in 1970. This is specifically a piece of art, and does not have a drivetrain or interior, but it’s quite clearly based on 918 Spyder cues, like the center-lock wheels. It’s a great combination of old and new, and would be absolutely awesome to see in person to go over those smooth lines. With the FIA WEC converting to a « supercar » standard next year, it would be totally cool to see this thing revived as a race car, but I wouldn’t hold your breath. The Porsche museum had some seriously cool 917s on display when we were there in December, but they will have a total of ten models on display for the anniversary exhibit, which is more than I’ve ever seen in one place before. 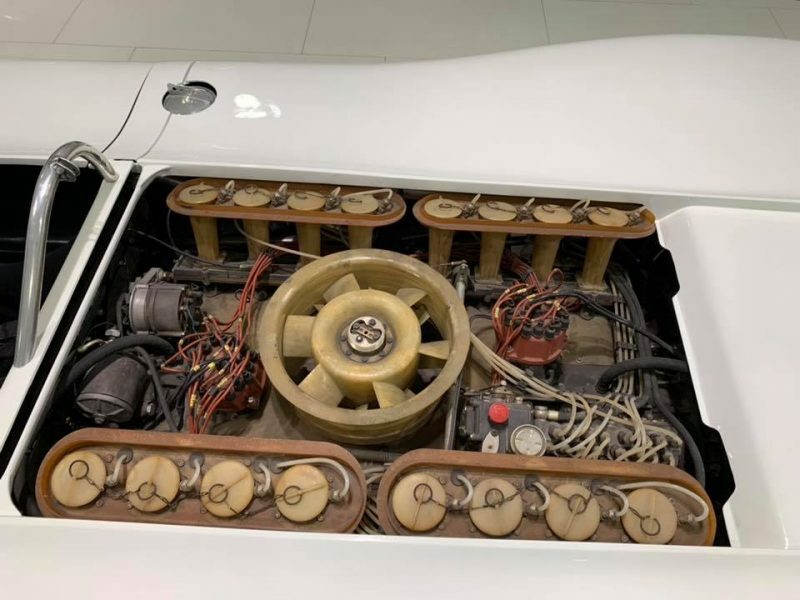 The museum claims that the ten Porsches together combine for nearly 7800 horsepower of output, which is seriously awesome. If you’re a big 917 fan, maybe you should plan a trip to Germany for the exhibit. It runs from From 14 May to 15 September 2019 in Stuttgart. Get there. Hillclimb Monster : Porsche 930 Turbo… Avis de tornade en Italie !